The Scariest Roads in America? Not really, but considering tomorrow's October 31st, we thought it was a good time for a Halloween repost. 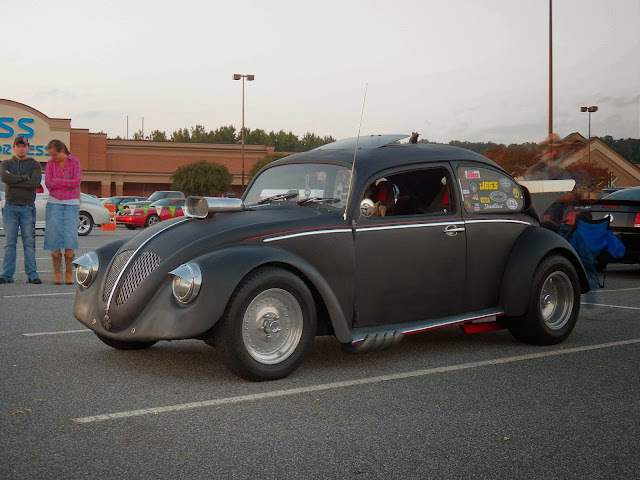 Before we get to Clinton Rd and speaking of scary, we found this V8 VW at the October Po Boys Cruise-In. The Scariest VW in America? 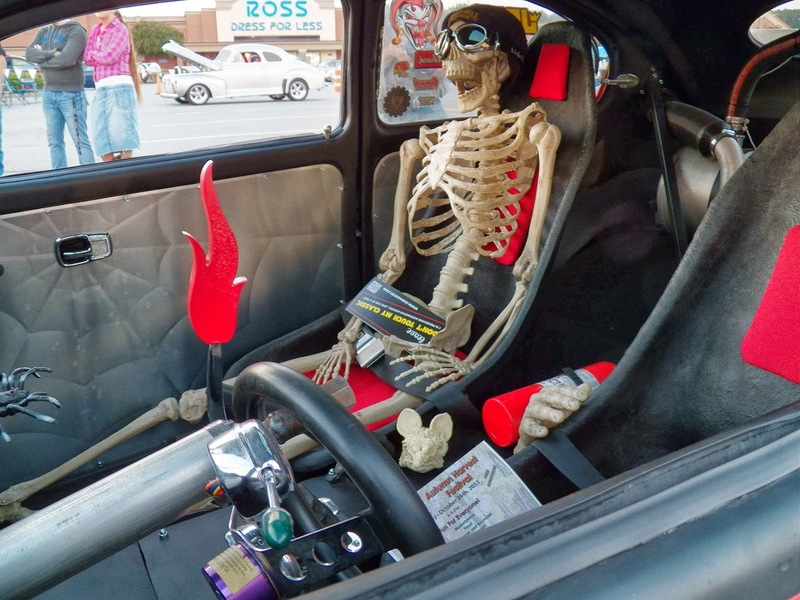 Powered by a blown small block Chevy engine, we imagine driving it would probably scare the H*LL out of almost anyone or any passenger willing to go for a ride. 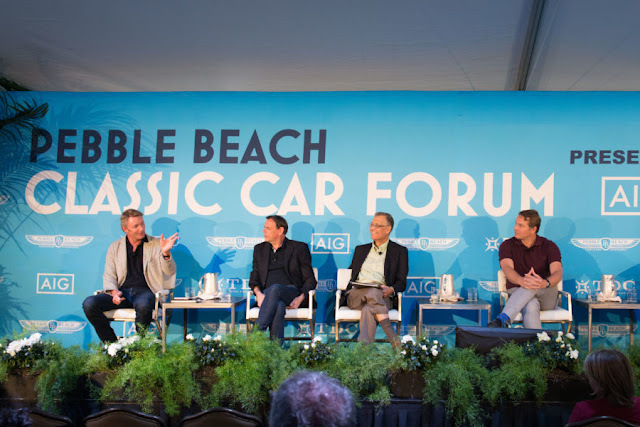 A closer look at the Beetle, revealed a race inspired look and construction, including a fuel cell, multi-point seatbelts, rear wing, and an 8 port exhaust system. The cooling system is where the motor would normally be located and the fuel tank where the rear seat would go. A large tachometer is accompanied by full instrumentation, but we don't understand the under dash speakers considering the layout and exhaust system. Speaking of scaring the life out of the passenger, it seems to have worked. Clinton Rd, West Milford N.J.
"The Scariest Road in America"
One of the reasons Clinton Rd. is the scariest road in America is the traffic light at a double intersection where Route 23 crosses the road. The two lights can cause motorists to wait for 5 minutes in total. Technically speaking, Clinton Rd. is a 10 mile stretch of desolated road between Clinton, NJ and Upper Greenwood Lake, NY. The ghost boy at the bridge: At one of the bridges over Clinton Brook near the reservoir, if you put a quarter in the middle of the road where the yellow line is, at midnight it will supposedly be promptly returned by the ghost of a boy who drowned while swimming below or had fallen in while sitting on the edge of the bridge. In some tellings an apparition is seen; in others the ghost pushes the teller into the water if he or she looks over the side of the bridge in order to save him from being run over as he was in life. The bridge has been nicknamed "Cry Baby Bridge"
The Druidic temple: A conical stone structure just east of the road south of the reservoir was said to be a site where local Druids practiced their rituals, and horrible things might come to pass for any intruder who looked too closely or came at the wrong time. Ghost truck: There are accounts of phantom vehicles: pickup trucks that supposedly appear from nowhere in the middle of the night and chase drivers to the end of the road, then disappear. Strange creatures, from hellhounds to monkeys and unidentifiable hybrids, have allegedly been seen at night. If not of supernatural origin, they are said to have been survivors of Jungle Habitat, a nearby attraction that has been closed since 1976, which have managed to survive and crossbreed. If you'd like to plan your own journey to Clinton Road or some other unusual roadside attractions you can use this site. There are numerous videos which debunk these claims. but what fun would that be on Halloween. 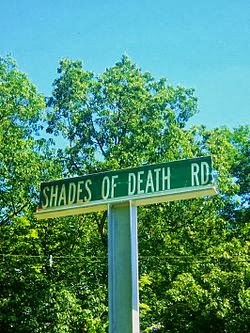 Of course there is "Shades of Death Rd." in Warren, NJ. Yes, it's a real road I used to drive on a regular basis. It's near "Jenny Jump Forest", Ghost Lake, The Fairy Hole, and Lenape Lane. Do you know about Crystal Lake in Blairstown, NJ? It's the site of the original "Friday the 13th" movie, a Boy Scout Camp and another location I used to drive by almost every day. All of these locations are within a few miles of each other. Do you have a "Clinton Road" nearby to you? Add your links or stories in the comments below.